Residents of Flint, Michigan in the United States remain exposed to water contaminated with lead and bacteria three years since the water crisis first hit the headlines. Anger is still palpable among its residents, who are facing the prospect of at least another three years before the problem is fixed despite the vast sums of money allocated to fix the problem. The people of Flint have now been without clean water for 1,096 days. Lead levels have now reportedly dropped below federal standards, but the water remains contaminated with bacteria and residents have been advised to only drink bottled or filtered water. Local and state officials have been accused of failing to do enough to fix the water, causing ongoing health problems due to pipe corrosion. The long-term effects to residents’ health have yet to be established. In March, a judge ordered the state of Michigan to give the city up to $87 million to replace its lead-tainted pipes with steel ones. 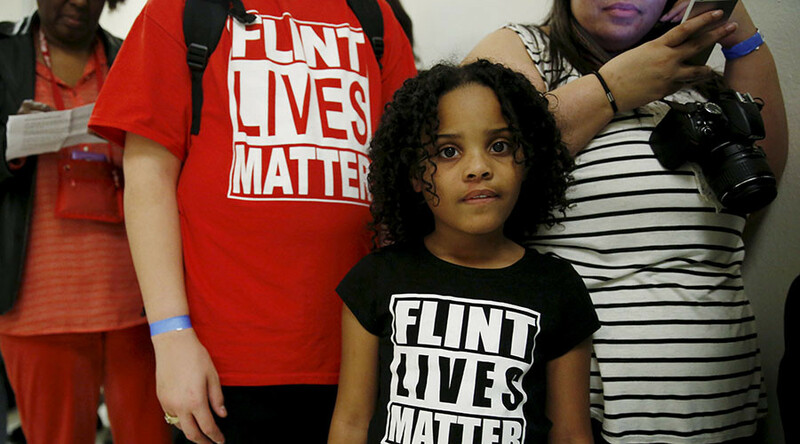 The Environmental Protection Agency (EPA) recently gave $100 million to Flint, following a vote in Congress. There’s still no clean water in Flint. This day marks 3 years since the beginning of the #FlintWaterCrisis. Obama and Trump didn't fix it. The Flint water crisis began in April, 2014, when officials decided to change the city’s water supply from the Detroit Water and Sewerage Department (DWSD) to the Flint River in a cost-saving initiative. City officials, however, failed to properly treat the water, which led to corrosion in the water pipes, many of which are made of lead. Dangerous levels of bacteria, including E.coli, also developed in the water. When residents began to complain about the water smelling, tasting and looking different, officials denied anything was wrong. Yet testing revealed dangerous levels of lead in the water, with traces of the metallic element doubling in the blood levels of children. Officials delayed changing the water supply until October 2015, and a state of emergency was declared in January 2016. Flint now says it will replace the lead pipes and the water will be drinkable in the next two to three years, meaning the residents of Flint will have endured serious water problems for up to six years. On the three-year anniversary of the crisis, trust in Flint’s water and its officials remains as eroded as the city’s water pipes. Frustration was evident at a town hall meeting last week with Mayor Karen Weaver and other officials. The meeting was held in a church and armed police were present. Six residents were arrested for disorderly conduct. Harold Harrington of a local plumber’s union told independent media that the problem can be solved in less than three years, and that officials are not properly investing the money in personnel to do so. “We could have 50 crews in here and get it done in less than two years easily,” he said. In an effort to highlight the city’s ailing water supply, a camp has been set up at Kearsley Park, which calls for clean water and improved healthcare facilities to deal with long-term health issues resulting from the contaminated water. Protesters are also calling for Governor Rick Snyder to be held accountable for his role in the crisis.